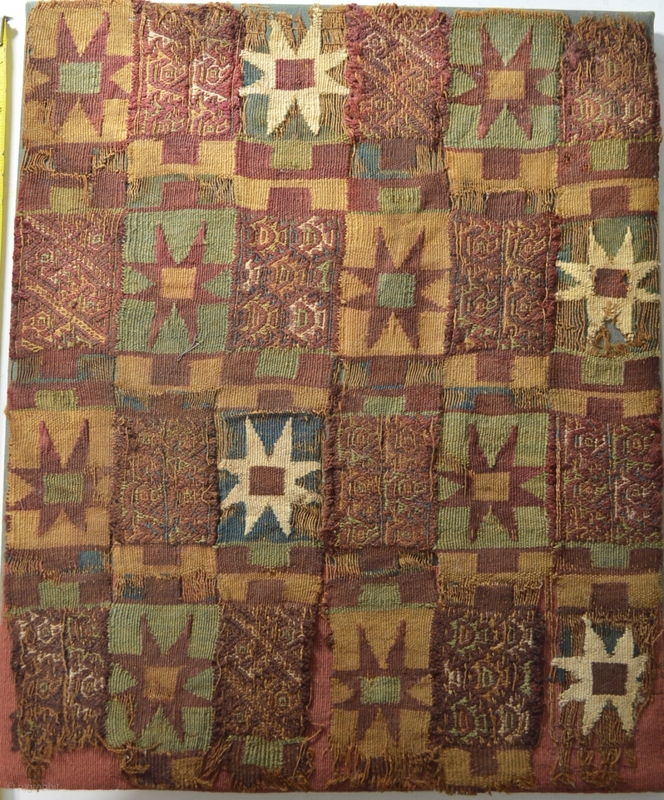 Pre Columbian rare Inca textile fragment panel ancient South America. 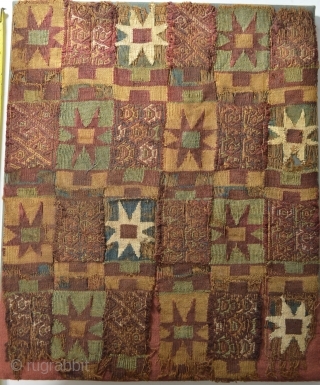 The textile finely woven with multi color star motives interspersed with piranha fish, birds and animals in bands of red, From a Inca tunic Inca period, circa 1458-1572 ad, Peru. 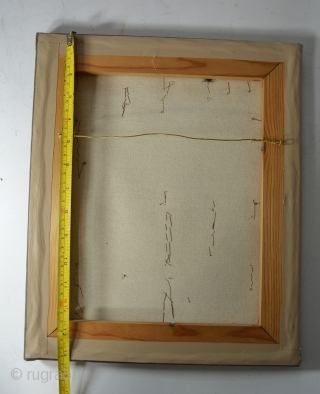 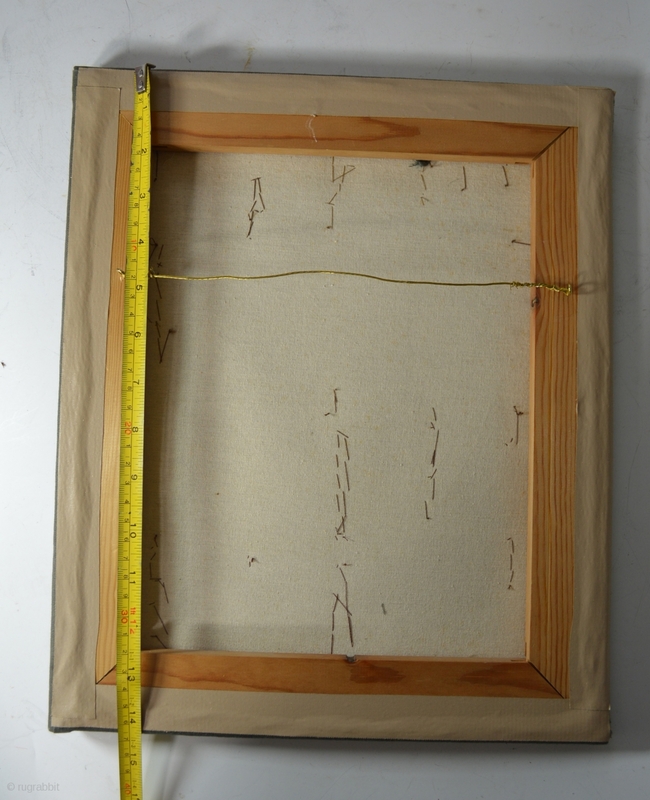 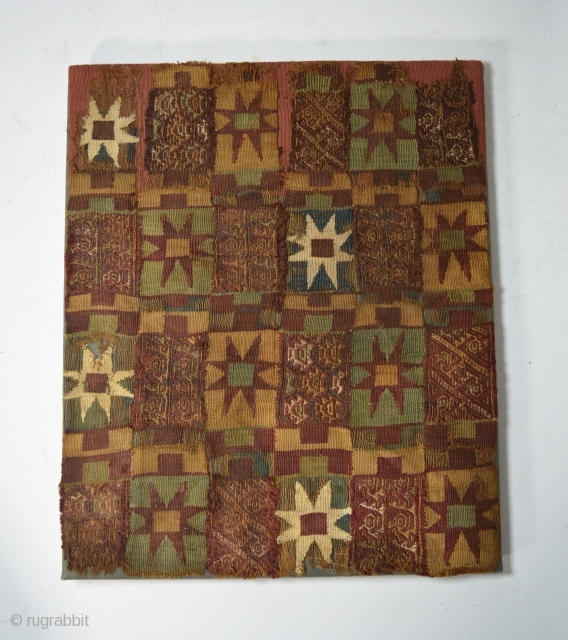 Mounted on a cloth backing and stretcher Size: 14 x 12 inches, 35 x 30 cm approximate Condition: Minor losses, good for age Provenance: uk Collection, collected before 1960.